Beth received her BA in Theatre from SUNY Plattsburgh where she served as President of Alpha Psi Omega, a national theatre honor fraternity and Vice President of the College Theatre Association. Beth was also twice nominated to and a finalist in the Irene Ryan scholarship competition, part of the National College Theatre Festival. After College, Beth spent several years as part of The Harold Clurman Theatre on NYC's famed 42nd Street Theatre Row, before discovering her true passion: children’s theatre! Beth began her career in teaching and directing children of all ages in the early 1990s. She then went on to develop and cultivate the highly acclaimed program, TWKids at TheatreWorks in New Milford, CT.
She has taught at theatres, schools and studios throughout Connecticut and New York. 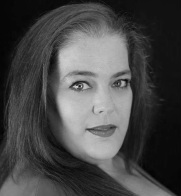 Beth has directed countless musicals and is also known for creating musical revues specifically for young actors.